DABATEM is an independent research center internationally recognized for its pioneering research into mental health effects of wars, torture, and earthquakes, and their effective treatment. It has been founded and is currently directed by Professor Metin Basoglu. Mass trauma events affect large numbers of people and lead to a serious mental health problem around the world. Effective dealing with this problem requires a mental healthcare model based on interventions that are (1) theoretically sound, (2) proven to be effective, (3) brief, (4) easy to train therapists in their delivery, (5) practicable in different cultures, and (6) suitable for dissemination through media other than professional therapists, such as lay people, self-help tools, and mass media. Current trauma treatments do not meet more than two or three of these requirements. DABATEM has conducted extensive research with trauma survivors to develop a psychological treatment (Control-Focused Behavioral Treatment – CFBT), which meets all of the above requirements. CFBT is a brief and largely self-administered intervention that reduces traumatic stress by enhancing sense of control over (or resilience against) trauma. DABATEM has also developed a mental healthcare model for earthquake survivors that incorporates various brief and innovative applications of CFBT and treatment delivery strategies that enable cost-effective dissemination of care to large survivor populations. 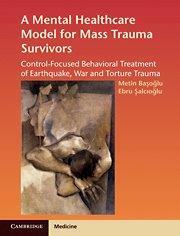 Currently, research is underway to develop a similar model for survivors of war and torture. A recently completed treatment study has shown that CFBT is highly effective in survivors of war, torture, and sexual and gender-based violence. 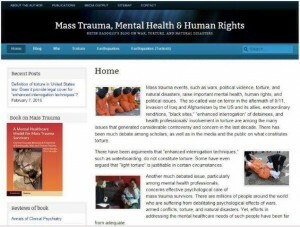 Mass trauma events raise important issues of concern to mental and public health professionals, social and political scientists, human rights workers, international law experts, policy makers, and governmental and nongovernmental organizations concerned with care of mass trauma survivors. An important aspect of DABATEM’s mission is to inform public and professional opinion on these issues. 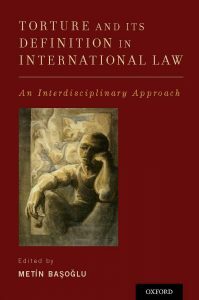 Articles on some of these issues can be found in Professor Basoglu’s blog Mass Trauma, Mental Health & Human Rights.